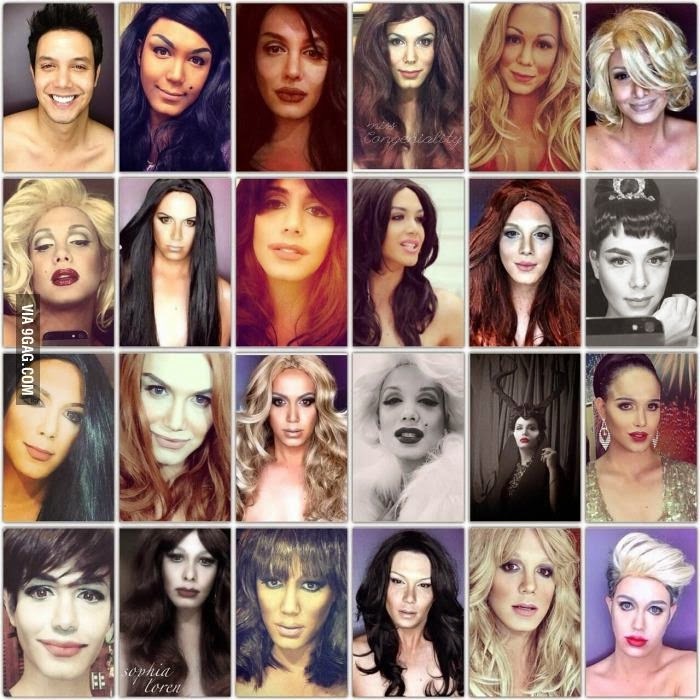 Home / Beauty / Ellen De Generes show / makeup transformations / Paolo Ballesteros / social media / Television / Paolo Ballesteros Earns International Fame, Hopefuls Say He Deserves a Spot in "Ellen"
Paolo Ballesteros Earns International Fame, Hopefuls Say He Deserves a Spot in "Ellen"
Paolo Ballesteros, model, tv actor and one of Eat Bulaga’s mainstay hosts is making waves now as an Internet sensation not just in the Philippines but internationally as well. He was just recently featured in MTV.com for his funny antics of impersonating a wide range of famous local and Hollywood celebrities in the film and even music industry and now is being urged by fans and supporters to appear in The Ellen De Generes Show. His much acclaimed international fame was due to his astonishing makeup transformations and artistic makeup skills, having the ability to mimic Mariah Carey, Katy Perry, Britney Spears, Miley Cyrus, Rihanna, Beyonce, Angelina Jolie, Julia Roberts, Jennifer Lawrence, among other popular celebrities and posting it on his Instagram account for over a year now. These makeup transformations of popular celebrities earned him 300,000 followers in his Instagram account alone, apart from the thousand of likers and followers in his YouTube vlogs that feature how he craftily put his makeup on and let the viewers see these amazing transformations. Paolo Elito Ballesteros IV better known as Paolo Ballesteros, unknown to many is a descendant (great-grandson) of one of the Philippines National Artists, Fernando Amorsolo, who was a portraitist and painter of rural Philippine landscapes known for his craftsmanship and mastery in the use of light. Ballesteros graduated with an AB Communication major tucked in his belt at Saint Louis University in Baguio. His showbiz career started in 2001 with several TV stints, product endorsements until he became a regular host of Eat Bulaga!, one of the long running noon time variety shows in the Philippines. He has a daughter named Keira Claire Ballesteros. With his talent in acting, funny antics in hosting and crazy yet artful makeup skills, he garnered support from his fans, thus, paving way to Certified Paololicious, the “We-love-Paolo-Ballesteros” fan-based group. Although there is no actual invitation yet from Ellen De Generes herself or from the show’s management, supporters are very hopeful that one of these days, he will earn a seat on the famous show. It has been known that Ellen De Generes was instrumental in the launching of Charice Pempengco’s international career after she took notice of Pempengco’s viral videos online. Well, as early as now, I want to congratulate Paolo for his international success due to his makeup transformations and would like to express my support for him to be invited as a guest in the Ellen De Generes show. Jessie Corpuz-Dericto, 28 years old is a Freelance Writer, Blogger, Virtual Assistant and a nursing mom. She is also into news and trends, fashion, photography, painting, sketching and the roller coaster ride of motherhood. She loves sensible talks, long walks and activities that will enrich both the mind and soul.